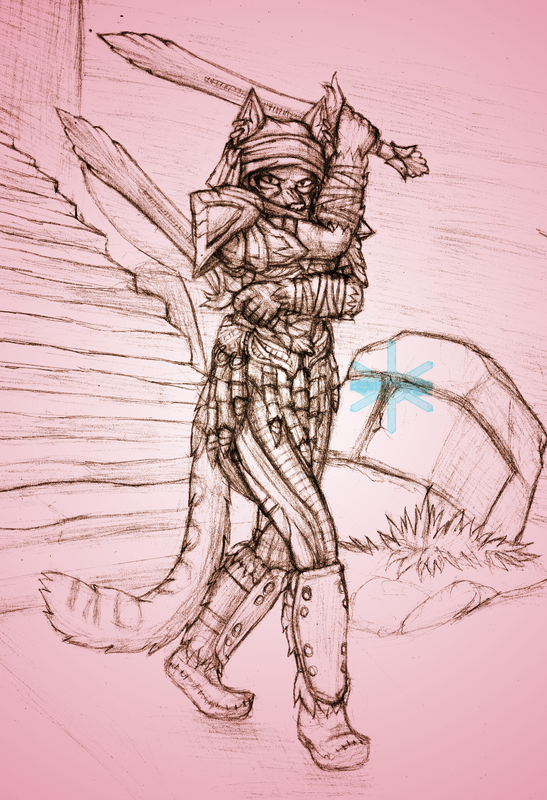 Ohey, look, I drew my khajiit in her armor. How about that. Now I just need to draw her doing more things.. whether in armor or completely naked I mean, what? And yes, I did toss a turban-lookin' thing on her. I looked up some Khajiit clothing, and a good deal of art that came up had them wearing such things. What can I say, I like the way it looked. Not so sure if I'm satisfied with the way mine turned out. Eh, that can be changed later, I suppose.